Take the Lemonade Stand back in time to a land before big wheels and sidewalks and build an empire of peasant workers all laboring under the watchful eye of you as king. Instead of sugar, water and lemons, your ingredients for success are the right mix of man power, gold and defensive fortifications. Fend off goblins, marauders and denizens of the dark places in your quest to build the kingdom. Play the role of wizard, dwarf, prince, knight or warrior king as you direct your people to sell goods, offer clerical services, build your castle and defend its walls facing increasingly challenging conditions and assailants. 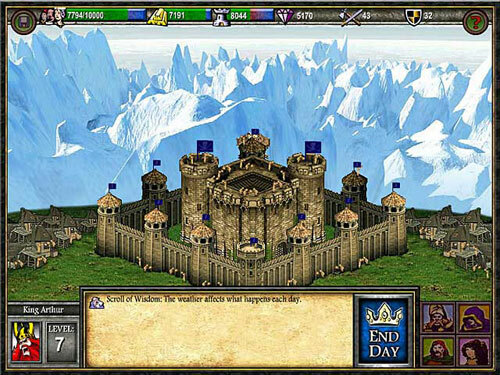 If you want to build your own little kingdom in the virtual world, Age of Castles provides a day-by-day empire building experience without the time and deep strategy required to invest in an action epic like World of WarCraft.